1697-1774. Född i Montauban, Frankrike, död i London. Engelsk kartograf. Han kom till England som "agent of the States-General" och blev fransklärare åt kung George II:s barn. 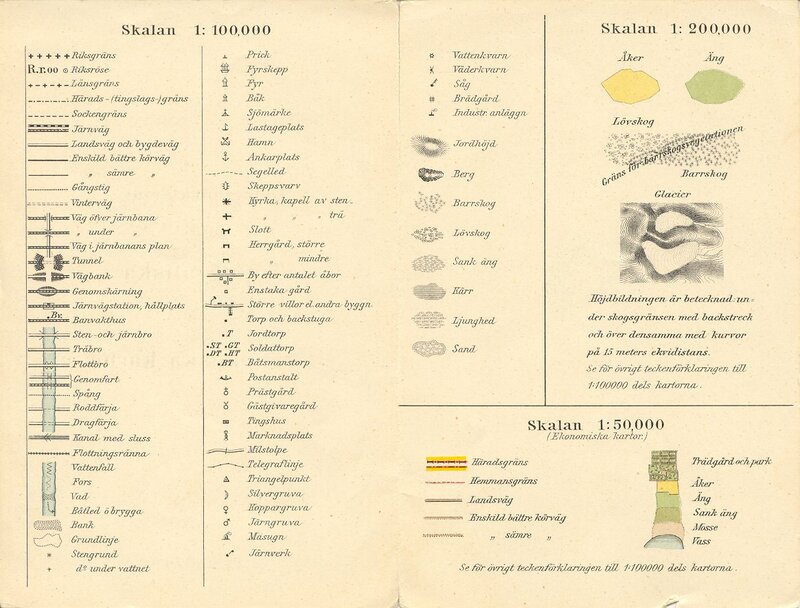 Förutom diverse filologiska verk utgav han 1754-55 "Nouvelle Introduction à la Géographie Moderne" i 3 band, samt "Atlas Méthodique" med 53 kartor 1754. Nouvelle Introduction à la Géographie Moderne. (b 1813; d London, 19 Dec 1907). English engraver. He was educated in Ghent, Belgium, and later at the Royal Academy Schools, London, where he was awarded silver medals in 1839 and 1841. He worked in the mixed mezzotint style and exhibited 43 examples of his work at the Royal Academy between 1841 and 1893. Of Stacpoole’s many plates, perhaps the best-known are those after William Holman Hunt’s Shadow of Death (1873; Manchester, C.A.G.) and the battle subjects of Lady Butler. Stacpoole began work early in 1874 on the engraving of Shadow of Death . The original picture had been bought by Thos Agnew & Sons and was exhibited so widely that, on publication of the engravings in 1877, the sale of proofs alone realized more than £20,000. By January 1879 Stacpoole had received a total of £3560 from the Fine Art Society for his plates after Lady Butler’s Roll Call (1874; British Royal Col.; declared for publication in 1874), Quatre Bras (1875; Melbourne, N.G. Victoria) and Balaclava (1876; Manchester, C.A.G. ; both declared in 1876). Shadow of Death (1873; Manchester, C.A.G. ), Lady Butler’s Roll Call (1874; British Royal Col.; declared for publication in 1874), Quatre Bras (1875; Melbourne, N.G. Victoria) and Balaclava (1876; Manchester, C.A.G. ; both declared in 1876). The name of Vingboons, the Dutch cartographer of the middle of the 17th century, became known to a wider circle of students of cartography only recently. It was not until this century (1925-1935) that his works were reproduces and described for the first time by the eminent Dutch Scholar Dr. F. C. Wieder in his ”Monumenta Cartographica”. Vingboons’ work was considered so important for the history of Dutch cartography and of Dutch colonization that Dr. Wieder thought it necessary to devote to the description and reproduction of these works 47 tables of a total of 127 and 81 pages of the text of a total 0f 207 (footnote 1). Thereby Wieder’s work has gained in importance to Dutch scientists. If we recall that Wieder has also published a short note on Vingboons’ globe (footnote 2) and that J. Keuning has written a biography of Vingboons’, (footnote 3) we exhaust the list of what has to date been printed on his life and work. Information about his work as an engraver and drawer is likewise scarce. A reference to his work as an artist is given by F. C. Waller in Biographische Woordenboek v. Noord Nederlandsche Graveurs, Haag 1938. Waller’s brief statement concerning J. Vingboons: ”a cartographer, engraver, publisher, artist, born in Amsterdam 1616/17, dead 1670, worked in Amsterdam in the years 1645-64” is practically all we know about Vingboons’ life. Keuning, whose work we have already noted, gives considerably more information about a J. Vingboons, but does not state, whether it refers to our Vingboons or another J. Vingboons, about whom a few details are given. Dr. Wieder’s work have, however, brought the figure of J. Vingboons as a cartographer and draughtsman into sufficient relief. At present, nearly 240 sheets of maps, plans and views, with or without Vingboons’ signature, are found in different libraries. Some collections include separate sheets which are identical or closely resemble each other. The greater part of these sheets have been or still are assembled into atlases. Of the atlases extent at present, three volumes are in the Vatican. A similar atlas happened to fall in the hands of the Amsterdam antiquarian Fredrik Muller & Co. It had originally belonged to the cartographic firm Wed. Gerard Hust van Keulen in Amsterdam, subsequently taken over by H. G. Boom. 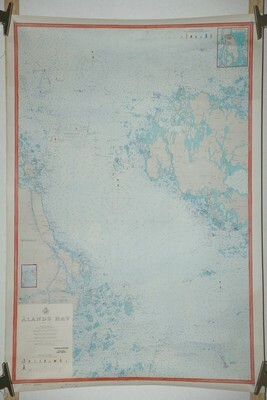 Muller broke up the atlas into separate sheets and sold the sheets at public sales in 1885. The maps were scattered all over the world, but Dr. Wieder succeeded in finding many of them. In 1932, sixtythree maps out of a total of seventysix given in the catalogue had been traced; of these, thirtyfour were in Brazil, five in the Bibliothèque Nationale in Paris, thirteen in the Library of Congress in Washington and eleven in Rotterdam. One of the sheets located at Recife (Brazil) bore the number 114, suggesting that Boom’s atlas had had at least 114 sheets. The whereabouts of the missing sheets are still not known. The library of Laurentiana in Florence also has an atlas by Vingboons, containing 67 sheets. Separate sheets, many of which have never belonged to the atlases are found in different collections: in the State Archives at the Hague and in the National Library in Vienna. In the latter there are two types of sheets: (1) by Vingboons in his own hand and (2) copies of his maps included in the well-known ”Eugène”-Atlas. All these maps are drawn by hand on paper bearing water-marks later than the year 1652. Their production must be referred to the years 1650-1670, chiefly to 1665-1670. The maps in the copies at the Vatican showed the Americas as far as their exploration to date allowed, the Atlantic coast lands of Africa. The maps in the collections in the Hague, in the State Archive, and in Florence, in the Laurentiana, - embrace Africa. – the littoral of the Indian Ocean, - as well as the coasts of Asia as far north as Japan. The Vatican atlas includes general maps; the North Sea, the North Pole, Spitsbergen, the Americas and North America. Also the Vatican Atlas contains a map, in 56 separate sheets, of the possessions of the West India Company; it shows both coasts of America and the Atlantic coast of Africa on a scale 1:1.500.000. The map is supplemented by views and plans of these regions. 1. Suyder en Noorder America Met de Eylanden ende Vastelanden Van Westindien en een gedeelte Van Evropa en Africa. Alles op sijn Behoorlycke Polis Hooghte Geleijt Door J. Vingboons. The map is drawn on Mercator’s projection with loxodromes. It embraces the entire eastern part of the Pacific Ocean (the western part was shown in the next map), all of America then known (California is represented as an island), the Atlantic with Europe and Africa. Africa, including Madagascar, is also shown as part of the Indian Ocean littoral. 2. Caert Van Asia en een Gedeelte Van Africa Met de Eylanden ende Vaste lande Van Oostindien. Beschreven door J. Vingboons. Mercator map, with loxodromes. Beginning with Africa’s Atlantic coat south of the equator, it embraces the entire southern part of Africa and Asia, the Indian Ocean as far as parallel 50 south and the then known parts of Australia without its eastern part, so that it joins New Guinea in the north. South east of Australia, the southern part of Tasmania is already drawn, with an indication of the year, 1642, of its discovery. Asia’s eastern coast as far as the southern most Kurile Islands – the results of the expedition of M. de Vries in 1643. He assumed that beyond the straits of the southern Kuril Islands lay America . There is s also a group of the islands of Oceania between Australia and Japan. 3. Caart Vande Noort Pool met Syn Omleggende Landen Alles op Syn Behoorlycke Polis Hooghte Geleyt Door J. Vingboons. The map is on the polar projection. The circle of Cancer is the approximate limit of the map; owing however, to its square shape, the circle is broken by the map and thus the map does not include the entire coast lines of America, Africa and Asia; outside the circle, to the south thereof, the Red Sea, Mexico and Cuba are represented on the map. The empty corners of the map are adorned with vignettes. 4. Caart Vande Zvydt Pool Met Syn Omgelegen Landen Nieuwelyck Betrocken door J. Vingboons. The map of the southern hemisphere in the polar projection. The corners are filled with vignettes representing the four elements. These four maps are interesting because they form a set embracing the entire globe. In actual fact they are sea-maps, as only the coastal regions are shown on them and no details are given in the interior of the continents. The maps are on different scales in order that they may include all that was required on each specific map. The maps overlap each other; accordingly there are no breaks and all the parts of the world as it was known at that time are represented on one map or another. Geographic discoveries up to the beginning of the second half of the 17th century are recorded on them. The Vatican Atlas is the only one to note, closely resemble two maps in the series under discussion: one a map of America and the other a map of the North Pole. They do not hold, however, all that is represented on the corresponding maps of our series. The Vatican map of America and the Atlantic Ocean depicts the areas lying between parallels 62 degrees N. and 60 degrees S., whereas the limits of our map are extended beyond the polar circles. The North Pole map of the Vatican Atlas covers only Europe and America, (it does not include Asia) as far as the 80th parallel above and 49th parallel below, whereas our copy goes as far as the 46th parallel above and 30th parallel below. 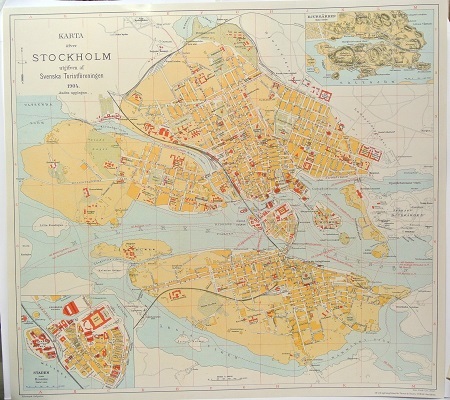 This series of maps is in a private collection in Sweden. It has long been in Sweden and was probably in the possession of the well-known statesman Baron Klas Brorsson Rålamb, a contemporary of Vingboons. It is interesting to note that the Vatican Atlas has also been in Swedish hands, having once belonged to Queen Christina. 1) Monumenta Cartographica… edited by Dr. F. C. WIEDER, Hague. 1925-1933. Atlas Gr.Fo. 5 vv. et Text Fo. 2) Een bizondere aardglobe van Vingboons. Het Boek, d. 26. 1940, p. 69-71. 3) Johannes Vingboons, teekenaar, graveur en kartograf. H1et Boek, d. 22. 1933-34, p. 53-66.